Enter the new Planters What Team are You On Contest to get your chance to Win $500 gift cards. This contest is open only to legal residents of Canada who are 18 years of age or older at the time of entry. 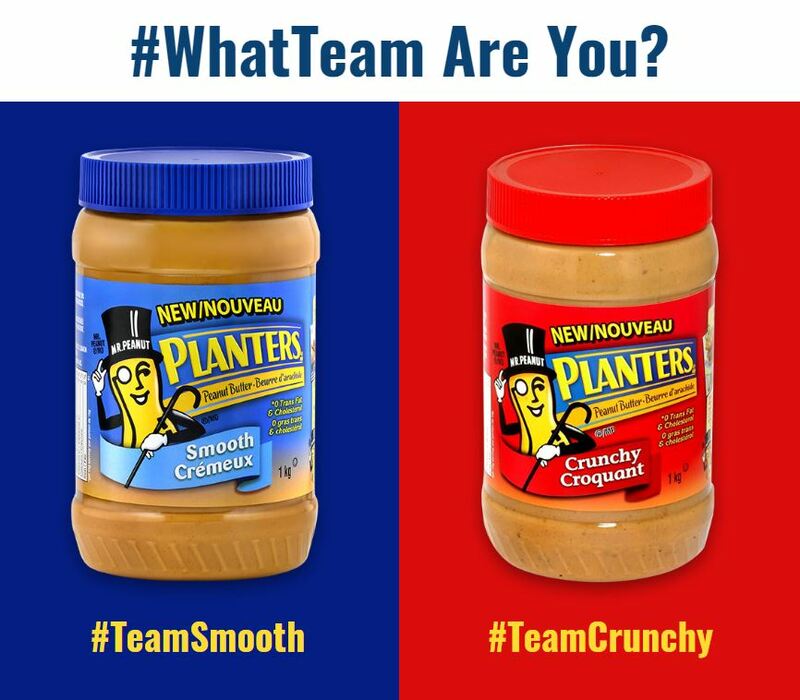 To enter you need to visit the official contest web page located at whatteam.ca and follow the on-screen instructions to select your favourite ‘Team’ of Planters peanut butter, then provide your name and last name, a valid and current email address and submit it. This contest ends on March 31, 2019 at 11:59 pm. Winners will be selected by random draw from all eligible entries. There are three prizes available, each consists of a Mr. Peanut $500 shopping spree. The Planters What Team are You On Contest starts on or about January 1, 2019 at 12:01 am and ends March 31, 2019 at 11:59 pm. The draw will take place on January 31, February 28 and March 31, 2019. Winners will be notified via email.